Heading to Access Portland this year? Here are the VIPs that will move your business forward. 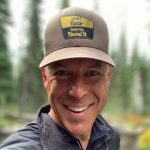 Matt Abrams – Seven Peaks Ventures: Matt is a General Partner at Seven Peaks Ventures. His primary focus is Enterprise Data Analytics and Machine Intelligence. He also focuses heavily on AR/VR, Security, and Quantum technologies and generally serves as the firms early adopter / expert on anything new. One of his strengths lies in translating how key technology innovations can be applied to solving inefficient business processes and workflows. 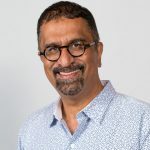 He has spent over 20 years in the Enterprise software industry as an operator leading product management, engineering, customer success, and industry standards teams from companies ranging in size from 200 to over 100,000 employees. Matt most recently led a global engineering team at Oracle. Prior to Oracle Matt held similar roles at Hyperion (acquired by Oracle) and Arbor Software. He is on the Board of Northwestern’s Master in Science in Analytics (MSiA) Engineering program and serves as a guest lecturer at Northwestern’s McCormick Engineering school and Northwestern’s Kellogg Business school and holds a BS in Computer Engineering degree from Northwestern University. 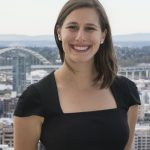 Julianne Brands – Oregon Venture Fund: Julianne is a Partner with the Oregon Venture Fund, and she’s the firms residents trail runner and trend tracker, keeping their team ahead of the curve when it comes to best practices in early stage investing. 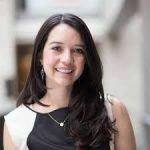 A former research analyst at an investment bank and an economic policy think tank, Julianne brings expertise in market research, finance, and emerging technology to help solve complex problems for entrepreneurs and investors alike. When she’s not talking to entrepreneurs about their next big idea, Julianne can be found within the Portland community – running rails in Forest Park and volunteering as a coach for local youth sports teams. 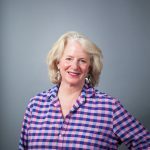 Diane Fraiman – Voyager Capital: Diane lives in Portland, Oregon and has been a Partner with Voyager Capital since 2007, focusing on software and digital media investments in the Pacific Northwest, particularly Oregon. 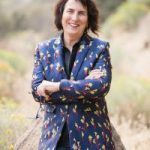 Diane is on the boards of Act-On Software, Stackery, TiE Oregon, University of Oregon Seed Fund Advisory Board, the Oregon State University Advantage Accelerator, and Providence Child Center. She is also a board observer of Chirpify, Lytics, and SheerID, She graduated with a Bachelor’s degree from Vanderbilt University in Biomedical Engineering, and received an Executive MBA from Insead in Fountainebleau, France. Manish Jain – Trilogy Equity Partners. Manish joined Trilogy in 2016. His responsibilities include evaluating venture investments and working with Trilogy’s portfolio companies. Manish joined Trilogy after several years with J.P. Morgan Chase in New York. Most recently, he worked in J.P. Morgan’s Chief Investment Office, where he helped develop portfolio strategy for the firm’s securities portfolio within a team of data scientists, portfolio managers, and research analysts. Prior to that, Manish was a research analyst reporting directly to the firm’s Chief Investment Officer. He started his career as a sell-side equity analyst covering the Communications sector for the firm’s institutional investor clients. 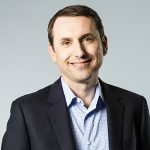 With his coverage, he saw the impact of major industry trends, including the evolution from 2G to 4G, the launch of the iPhone, and the shift to over the top streaming video services. His coverage included over 30 domestic and multinational telecom, cable, and satellite services companies with market capitalizations ranging from $100 million to more than $200 billion. Dennis Joyce – Angel Investor: Dennis is an early-stage investor and Real Estate Portfolio Manager specializing in early-stage investing, and Angel and Pre-Seed syndication. He leads due diligence teams for the Alliance of Angels and is a key ally and close friend of the Female Founders Alliance. We recently featured Dennis on our Investor, Innovator, Influencer blog series. Amy LaMeyer – WXR Fund: Amy is a partner at the WXR Fund supporting early stage companies in spatial computing and artificial intelligence. She is also an investor and advisor to start-ups in cybersecurity and music tech. Amy is on the board of ARVR Academy which promotes diversity in emerging technologies through education. 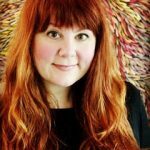 She writes for Virtual Reality Pop on topics such as Concerts in VR and created EnteringVR.net to assist others to learn about the potential of AR/VR across industries. Amy has over 18 years of experience in a high growth technology industry in corporate development and operations. 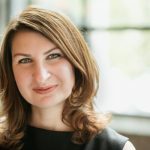 As a Senior Director of Corporate Development at Akamai Technologies Amy led global, cross functional teams in acquisitions valued at over $1.4B through the diligence process, closing, and integration. Her experience also includes strategic partnerships, divestitures, international expansion, profitability modeling, financial and product operations and engineering scale. She also managed a cybersecurity start-up accelerator in partnership with Microsoft Ventures. Genevieve LeMarchal – FoundersPad: Genevieve LeMarchal is a General Partner of FoundersPad, a women-led early stage focused venture capital fund with an actively managed mentoring program designed to help give very early startups their best chance for success. The FoundersPad portfolio consists of early stage companies including consumer tech, enterprise software, ML/AI, apparel/fashion, AR/VR, food and beverage, bioanalytics and consumer and B2B marketplaces. She was a serial entrepreneur for almost 10 years, is founder and executive board member of XXCelerate, has an MBA from University of Washington, and runs a bootcamp program that helps early stage companies increase sales and build sales systems. 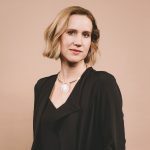 Jenn Lynch – Portland Seed Fund: Jenn Lynch became Managing Director of Portland Seed Fund in 2018, after three years as a Venture Partner. Jenn and her partners source and lead new investment, support portfolio companies, and manage investor relations for the fund’s limited partners. Jenn has led Portland Seed Fund’s investments in The Riveter, Argent and Goodwell + Co., among many others. Prior to Portland Seed Fund, Jenn was Managing Director at Upstart Labs, an early-stage venture fund focused on software as a service. Jenn’s operating experience spans product management, product marketing, user experience design and business development for cloud-based software providers including Yahoo and Kronos. She holds an MBA from Columbia Business School and a BS in Journalism from the Medill School at Northwestern University. Jenn serves on the board of directors for Oregon Public Broadcasting, Business for a Better Portland and Schoolhouse Supplies. She lives with her husband and three school-age children in Southwest Portland. 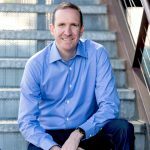 Tim Porter – Madrona Venture Group: Tim is a Managing Director at Madrona, a Seattle-based venture capital firm that invests in early-stage technology companies. Tim focuses on investing in business software companies, particularly those specializing in intelligent applications and SaaS, cloud native software, machine learning, and security. Tim serves on the boards of Algorithmia, Echodyne, Eclypsium, Highspot, Integris, Jama Software, Jobalign, Pixvana, Saykara, and Uplevel. He was previously on the boards of companies with successful exits such as Heptio, Lattice Data, Z2, buuteeq, Appature, Shippable and Mobilisafe. Tim received his bachelor’s degree in Mechanical Engineering from MIT and an MBA from the Stanford Graduate School of Business. 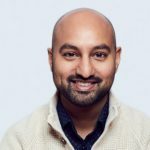 Nitin Rai – Elevate Capital: Nitin Rai is the Founder and Managing Director of Elevate Capital, a venture fund that includes the Elevate Inclusive Fund, a seed stage fund that invests in diverse and underserved entrepreneurs in the Pacific Northwest. Nearly 60% of Elevate investments are in women-led companies and 40% in African American and LatinX founder/CEO-led startups. Since 2016, Elevate Capital has invested in more than $5 million in 24 startups. These companies have raised follow-on funding of more than $80 million, with a market cap of $250 million and created 300 plus jobs. These companies also report 50% of their employees as diverse. Elevate Capital has already had a strong exit, with one of its portfolio companies, Portland-based RFPIO. Nitin also serves as the Chairman of the TiE Global of Board Trustees. In this role, Nitin leads the Board of Trustees mission to help its 60 plus global chapters ensure entrepreneurs become successful through global programs and initiatives. Nitin also serves as Chair of TiE Global Angels to help entrepreneurs across the globe get funding from TiE Charter Members. Julie Harrelson – Cascade Angels: Julie is an entrepreneur and investor in Oregon’s startup community. She has held multiple executive roles in design, technology, and venture funding and co-founded Cascade Angels Fund in Bend in 2013. Cascade Angels Fund has invested over $3 million in 20 companies that employ over 200 people generating over $44 million in revenue in the region. 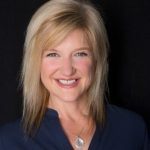 Jane Ullman – Silicon Valley Bank Portland Office: Jane is Managing Director of the Portland office of Silicon Valley Bank where she helps early stage companies by connecting them with capital and community. She has been the CFO of multiple young technology companies including The Clymb, an ecommerce company in the outdoor industry; ShiftWise, a healthcare SaaS company; RuleSpace, a security SaaS company; and myAgro a mobile technology/agriculture company. She has helped raise more than $150MM from VCs, PEs, angels, lenders, leasing companies and impact investors. Jane was also an investment banker in Kenya with the World Bank/IFC where she structured and negotiated financing for startups throughout East Africa. She worked for Dole Foods in Chile and for The North Face and began her career as a mechanical engineer in solar energy. Claire White – K&L Gates: Claire is a partner in the firm’s Seattle office, and a member of the corporate practice group. She represents clients across a broad spectrum of industries on corporate, securities, and financing matters. 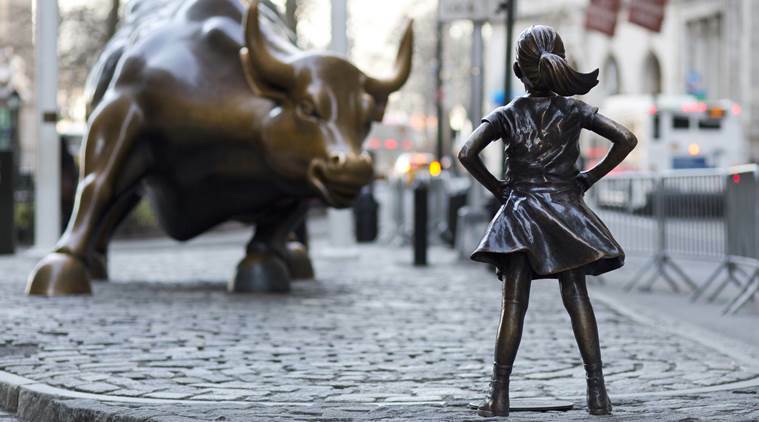 Her practice is focused on representing growth-stage companies and venture capital and private equity investors. In addition, her experience includes advising clients as buyers and sellers in mergers and acquisitions, complex financings, and general contract and corporate governance matters. Valeria Cole – Teadora: Valeria is the Founder of TEADORA, an independent Clean Beauty start-up that crafts powerful, proprietary blends of Amazon rainforest superfoods while sharing ancient Brazilian beauty secrets. TEADORA uses technology to inform product development and drive consumer engagement. It aims to become the Patagonia of the Beauty Industry by becoming a leader in Amazon Rainforest conservation. 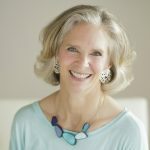 Prior to following her lifelong passion for naturopathic wellness &amp; conservation, Cole held several marketing leadership positions for fortune 50 companies such as Apple, Microsoft, Palm and Compaq Computer Corporation. Cole is a 2018 Tory Burch Fellow. She holds an MBA from Our Lady of the Lake University in San Antonio, Texas, and a certificate in International Business Leadership from Thunderbird, and is attending Stanford Innovation and Entrepreneurship Programs this fall. She is a mother of 3 and lives with her husband and co-founder Tom Moran in Portland, OR. Sabrina Parsons – Palo Alto Software: Sabrina Parsons is CEO of Palo Alto Software, developer of the best-selling business management software, LivePlan and email management product Outpost. Palo Alto Software, with headquarters in Eugene, Oregon, develops software and tools specifically targeted for entrepreneurs and small-business owners. Palo Alto Software employs over 70 employees and gives all employees paid maternity and paternity leave, supports a generous short-term disability policy, and focuses on employee benefits that honor and respect their employees’ whole lives. Sabrina assumed the CEO role in May 2007. Sabrina, as a mother of 3 boys 14 and under, is the author of a blog about the challenges and rewards of being a “Mommy CEO”. She writes for Forbes, Inc. Magazine, Entrepreneur Magazine, Business Insider, Huffington Post, and Bplans.com. Sabrina has a passion for supporting women in the workforce, women in technology and all working parents. 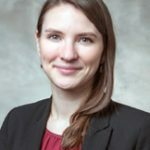 She has worked for Paid Family Leave Legislation in Eugene Oregon, for the state of Oregon, and has been featured in Business Insider and BusinessWeek for her advocacy for working parents. She is a staunch supporter of entrepreneurs, and supports entrepreneurial organizations. She has recently been appointed by Governor Kate Brown and voted by the legislature to the State of Oregon’s Workforce and Talent Development, as well as Co-chairing The Oregon Growth Board, another Governor appointed and legislature voted-on position. Jennifer Ferguson – Handful: Jennifer has been a group fitness instructor for over 20 years. 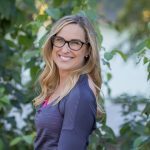 Despite being a busy mom of two young kids, she launched Handful in 2006 because she could not find a bra that could keep up with her fun, active and energetic lifestyle. Jennifer grew up in Great Falls, Montana where her Dad started muttering early on, “She’s a Handful!” Jennifer graduated from the University of Montana. Jaime Schmidt – Schmidt’s Naturals: Jaime is the founder of Schmidt’s Naturals, which originated as Schmidt’s Deodorant in 2010 in Portland, Oregon. Jaime became a leader and icon of the maker movement, bringing natural personal care products to the mainstream market. Inspired by the enterprising creativity in her local Portland community, she started creating new formulas for natural products in her kitchen using local ingredients. Jaime emerged with her breakout deodorant product and turned her naturals business into an empire. Putting customer feedback and accessibility at the forefront of her product development, she brought Schmidt’s to Target, Costco, Whole Foods, Walmart and CVS. In 2017, Schmidt’s Naturals partnered with Unilever to continue its global expansion. 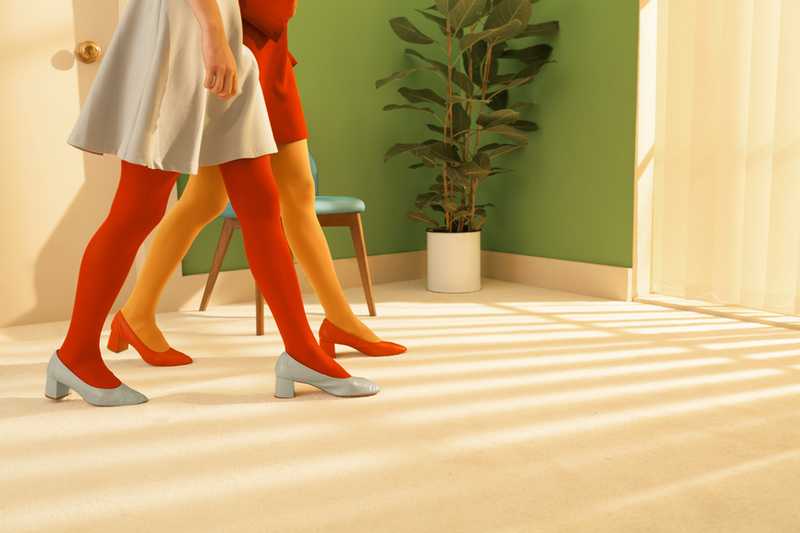 Now focusing her efforts on supporting other entrepreneurs as they pursue their own dreams, Jaime launched Color, an investment portfolio supporting the next generation of makers, with her business partner and husband, Chris Cantino. 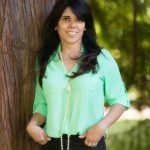 Jaime has been featured in prominent media including Forbes and Fast Company, and was recognized by Goldman Sachs as one of the 100 Most Intriguing Entrepreneurs in 2017 & 2018. Jill Nelson – Ruby Receptionists: From humble beginnings 15 years ago, Jill Nelson has grown Ruby Receptionists into a four-time winner of FORTUNE magazine’s top five Best Small Companies to Work for, and a Portland Business Journal’s Fastest Growing Companies in Oregon recipient for the past ten years. Today, Ruby’s 470 employees provide friendly, live, receptionist service integrated with a “front desk in your pocket” mobile app, helping over 7,000 small businesses across the US win new business and create loyal, raving, customers. In addition to her own entrepreneurial endeavors, Jill has been recognized for her contributions to Oregon’s business and technology communities, receiving the Ernst & Young Entrepreneur of the Year 2017 PNW, the Technology Association of Oregon’s 2017 Technology Executive of the Year Award as well as EO’s 2013 Entrepreneur of the Year award. A fervent supporter of small businesses and entrepreneurship, she has served on the board of Entrepreneurs Organization for over five years and acted as a mentor in its Accelerator program, successfully helping business owners reach that $1,000,000 revenue mark. A sought-after speaker on culture driven growth, Jill has shared her management philosophy of incenting, inspiring, and empowering employees with global brands such as Mercedes-Benz, Leroy Merlin of Europe, and Kiabi of France. Her vision for Ruby includes a workplace employees are excited to come to each day, and are inspired to learn, grow, and connect with others.